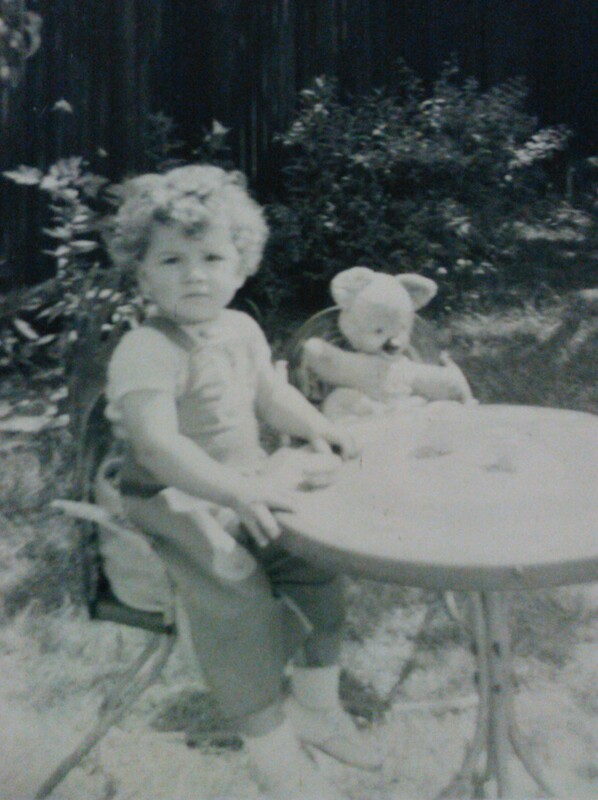 Tea with teddy. It was a big treat to be allowed to read at the table. National Libraries Day seems the perfect time to publish something that’s been in my head for a long time – a post in praise of the public library that I visited regularly as a child. When I was a little girl, it was my ambition to become a “library lady”. This ambition clearly pre-dated the entry of the word “librarian” into my vocabulary, which suggests just how little I was. In the leafy London suburb of Sidcup, where most of the housing stock had been built between the wars, I lived within 20 minutes walk from a sturdy, boxy-looking public library. I suspect that it was a classic 1920s style of architecture for public buildings, as was the primary school that I attended (Days Lane), about half a mile away. Down the next road was my grandmother’s house, where I went every day at lunchtime instead of having school dinners. These three buildings were touchstones of my childhood, and they all backed on to a small woodland. In the spring, the wood was carpeted with wild bluebells. Before regulations were introduced to prevent us picking wild flowers, in May no classroom was complete without a jam jar of these simple, fragrant flowers on every windowsill. I still adore the sight of a bluebell wood; it grounds me. If this setting sounds idyllic, that’s because it was. It wasn’t just the children who enjoyed these woods. When I was 9, we had a trainee teacher for a short spell, a dark-skinned man called Mr Liverpool. He came from British Guyana (he had to show us on the classroom globe where it was). When I asked him to sign my autograph book before he left, he wrote “I love the woods, the woods of Haddon Grove”. I wonder whether he also loved the library. The youngest of three children with a primary school teacher for a mother, I inevitably joined the library at a very early age. In those days, we didn’t have plastic credit-card style tickets to be swiped against a bar-code reader. Instead, the lending system revolved around small cardboard tickets, with little pockets in them. Inside each book was a slender cardboard strip giving the book’s details. When you borrowed a book, you handed over one ticket per book, and the librarians slipped the book’s strip into your ticket. The ticket was filed in date order, according to the return date. These tickets were kept in pleasingly solid, shiny wooden boxes behind the counter, alongside the rubber date stamp and ink pads, which the librarians used to date-stamp the sheet on the flyleaf of your book, to remind you of its return date. I thought the tickets were wonderful. There were also card indexes, with a white postcard for every book in the library, ranged in racks of wooden drawers. If you wanted to find out whether the library stocked a particular book, you had to search for it among these cards, filed alphabetically in order of author. 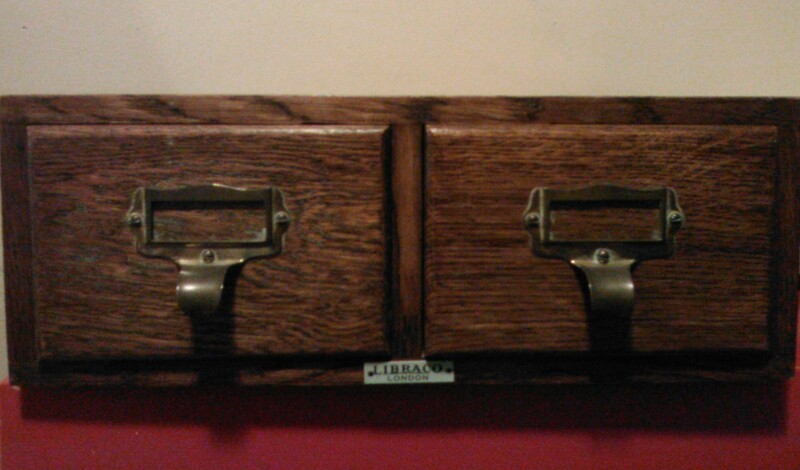 The drawers made a lovely soft whooshing noise when you slid them open and shut, running on smooth rails. A few years ago I acquired a set of these drawers, out of pure nostalgia, for my study at home. I adore them. The library counters were golden, gleaming woodwork, as were nearly all of the shelves, with the exception of some low, white-painted, open-topped boxes in which picture books were displayed for the youngest readers. Dotted around the boxes were low stools with colourful tops. That part of the decor was distinctly 1960s (like me). From the moment you entered the echoing lobby the astringent scent of polish invaded your nostrils. The strict enforcement of the rule of silence meant that the only echo should be your shoes on the shining parquet floor. Once you’d entered the lobby, your age determined which route you took. Under 12s turned right through double glass doors to the Junior section. Adults went straight ahead, past the check-in desk, to the grown-ups’ section. There was also a Reading Room, off to the left, where people could park themselves at big wooden tables to read newspapers (asleep, if you were Smokey Joe, the local tramp) or consult the huge reference books housed there. It was a major rite of passage to change the direction of your step from turning right to going straight on. Although I was a competent and eager reader, I remember dreading reaching the age of 12, when I’d be automatically promoted to the adults’ section. There was an advantage, in that I’d be entitled to more tickets (I think you had two as an infant, three as a junior and four as a senior). The tickets changed colour too: children’s tickets were sage green, adults’ were the colour of a digestive biscuit. 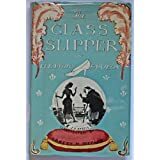 But I didn’t want to leave the comfort of the Junior section, where I knew exactly where to find my favourite books (The Ship That Flew by Hilda Lewis and The Glass Slipper by Eleanor Farjeon). I couldn’t understand why a boy in my class should be boasting about his preference for the adult section. Another pleasure in going to the library was seeing my favourite library lady. On the way there, I’d be hoping that she’d be on duty. This library lady had dark, bouffant hair and red lipstick, and she always smiled kindly at me as I shyly proferred my books to be stamped. She lived a few streets away from us and we’d often see her walking to the local shops with her daughter, a docile petite girl with Down’s Syndrome. The daughter always held her mother’s hand and in the other hand carried a large click-shut patent handbag. I remember being surprised when my mum told me that she’d just turned 21. (There was a Down’s boy of similar age, Tony, who lived in the house that backed on to our garden, and he used to come round to play.) My mum would say hello to the library lady when we were out, but I don’t recall ever really stopping to chat. This seemed appropriate, as if she carried an aura of library silence around with her. In any case, I was slightly in awe of her: to me it was like meeting a minor member of royalty on the street. I never did pursue my library ambitions, but even now, when I enter a library, I often think back fondly to the library of my childhood, set among the woods where, in my mind, bluebells always bloom. I was devastated years later when I heard that the library had burned down. But I am thankful to live in a country where book burning only happens by accident and we are free to read whatever we want. I bought a battered secondhand copy a few years ago of the same edition of my much-loved A Ship That Flew. The pink-jacketed edition of The Glass Slipper I’m still looking for. Even so, visiting the library is one of many happy memories that stands out in my very happy childhood, and it’s definitely one to celebrate on this special day. Happy National Libraries Day and thank you, to library ladies (and men) everywhere. What a wonderful article. 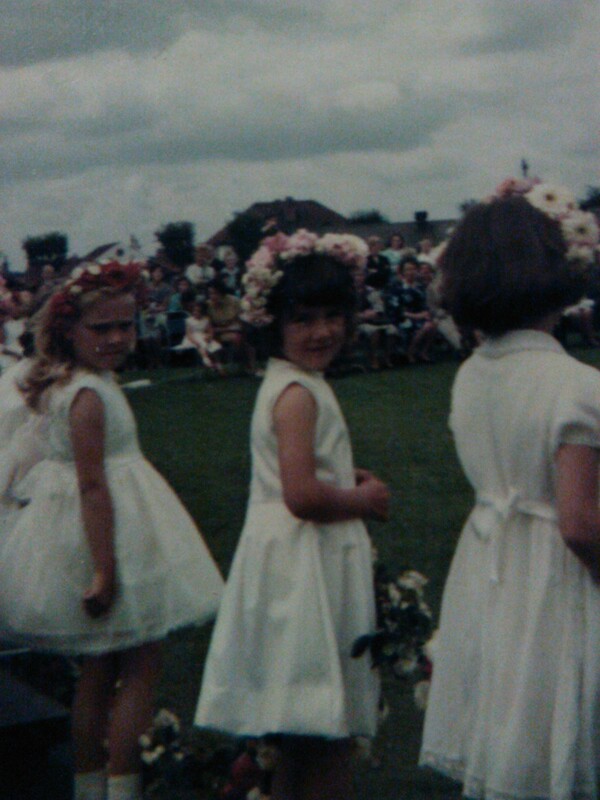 I stumbled across this whilst trying to find old pictures of my Primary School (Days Lane!). Although I attended there between 1982 – 1989, the memories of the woods (we called it ‘The Goats Field’), picking bluebells with my mum and also the library (I used to love walking through the goats field to the library on a summers evening after school) has all been brought back by reading the above. 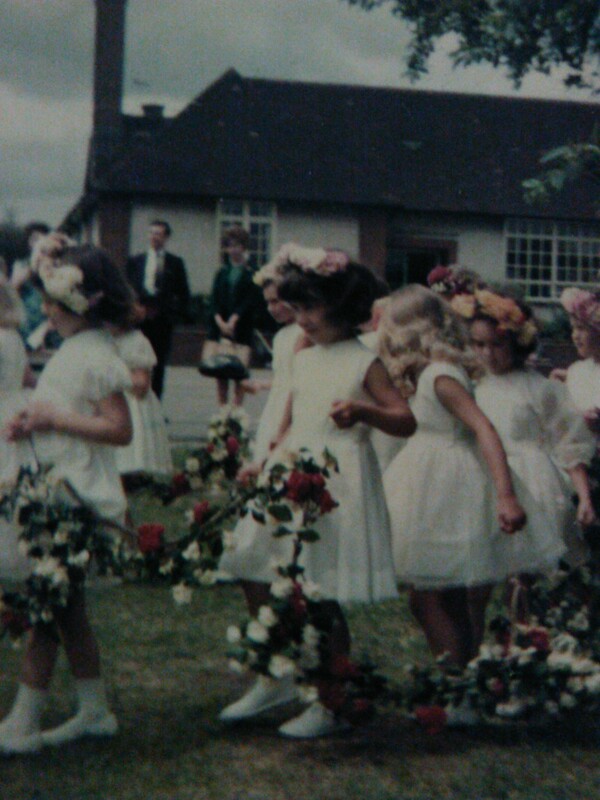 Wonderful memories, and in the last few weeks I have often thought back to those days (hence me googling Days Lane Primary School) I don’t believe the library burnt down though, it was closed and are now flats. The Library moved to Blackfen Parade, to the left of where Woolworths used to be – I visited there once – never again. It had lost the sparkle of the old Blackfen Library – described brilliantly in your article above. Happy days. Lee-Anne, what a lovely comment, thank you so much! It is great to hear from someone that shares my nostalgia for Days Lane School and the library. I’m relieved if it’s true that the library didn’t burn down – did they make the actual library building into flats? I’d love to live there! Actually, I’d like to have the whole library as a house and the woods as my back garden! I haven’t been back that way for many years and I’m almost afraid to, in case it spoils my precious memories! Pingback: Paper or Pixel: How do you like to read your stories? Oh, I loved reading this. I had just mentioned your blog(s) on a post of my own and clicked over to see yours. I happily read about your beautiful mother’s 80th birthday (Happy Birthday), and saw this post. I just wrote a series of posts on Love of Library and In Praise of Books. I will sprinkle them out between the other series, but I’m happy to see someone else still missing the card catalogues! That sounds lovely, Lee, I must hop over to yours and take a look! I share such similar memories of the local public library when I was growing up – those tickets and long wooden boxes in which they were filed! I’ve never lost my love of going to the library – although our local one now is called ‘the discovery centre’ – with that same sense of excitement I had as a child for what is to be found on the shelves. I like the sound of a Discovery Centre – or maybe calling it Aladdin’s Cave or Treasure Chest would work well too!